Thinking of buying a reptile or frog? Yes. 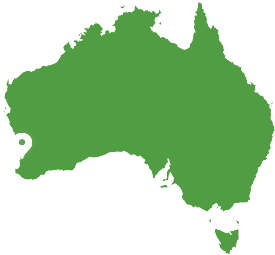 There are no species of reptiles or amphibians exempt from license requirements in Western Australia. Your state or territory issues licenses. Information on the various categories, costs, and requirements is available directly from your local wildlife authority or through local pet dealers selling reptiles and amphibians. Licenses are structured such that the easier to care for species, suitable for beginners, are the least costly. Category 3 – 5 licenses will only be issued to persons aged 18 years or older. The taking of reptiles and amphibians from the wild for any purpose, except under a takers license, is illegal, and any person attempting to illegally keep these animals will be prosecuted. How difficult are reptiles or amphibians to care for? Like most other types of pets, reptile and amphibian species vary from being relatively easy to look after to those that are quite demanding. To avoid disappointment and wasting money, it is strongly advised to start with a reptile or amphibian whose requirements are simple and easily met – such as Bluetongues, Bobtails or Tree Frogs. Many reptiles and amphibians are reasonably long-lived, surviving 10 to 20 years, or more. As with all living pets, they require a commitment to a regular feeding and cleaning schedule for the duration of their life. They are no different to pets such as dogs or cats in this respect. Good care is about doing all you can to provide for your animal’s needs. So before you purchase any reptile or amphibian, you need to do some research and find out its specific requirements. Only by knowing these requirements and then meeting them, will you be able to properly care for your reptile or amphibian and keep it healthy. Most requirements fall into three main categories – nutrition, housing, and husbandry. What should I feed my reptile or amphibian? To meet the nutritional requirements of your animal you must first ensure that you are able to provide appropriate food items on a regular basis. These can range from readily available canned pet food and fruit/vegetables to dead mice/rats, to live crickets, flies, termites, woodies, mealworms etc. It is important to know the diet of your species and vary it as much as you can. In nature, most reptiles and amphibians have a varied diet that provides the full range of nutrients they require. In captivity, this may have to be achieved by administering nutritional supplements such as extra calcium and vitamins. This is less critical with reptiles that consume whole mammals such as mice or rats. What kind of housing do I need for my animal? Items as simple as aquariums or clear plastic containers can be successfully used to house reptiles and amphibians. However, there are a number of aspects to consider when choosing housing and appropriate decisions will depend upon the specific needs of the species you intend to keep, your local reptile dealer should be able to assist you with the correct requirement. Space: Many snakes are happy to live in enclosures smaller than one might think necessary. In contrast, highly active species will require much larger and more complex facilities. Arboreal species require more space than their ground-dwelling counterparts. Some species can be housed in groups but for those that are territorial or cannibalistic, individuals need their own space. As Reptiles grow, space requirements increase – an important consideration with the larger species. Heating: Reptiles and amphibians are said to be “cold-blooded”. What this means is that these animals draw their body heat from the environment and regulate their preferred temperature through behavior. To increase body temperature they will bask in direct sunlight or on a heated surface such as a heat rock. To decrease it they can retreat to the shade, climb a shrub or tree, or enter a burrow or soak in water. Housing should, therefore, provide a thermal gradient with an appropriate range of temperature that is monitored using thermostats and thermometers inside the cage. This normally involves a ‘hot spot’ for basking, usually at one end of the cage, and the opportunity to move well away from this to cool off. There must be a physical barrier between the animal and the basking lamp to avoid burns. Water must be provided at all times. Lighting: A definite daylight cycle of lighting should be provided, either manually or automatically using a simple electrical timer. For animals that bask, use a full spectrum globe to provide the UV light they require to make vitamin D3 (essential for healthy bone structure). For viewing nocturnal animals, use a night bulb either red or blue, as the animals’ eyes do not register these as strongly. Water: Always provide fresh cool water. Moisture requirements vary according to the microhabitat occupied in nature. For example, desert species that are active in the heat need dry conditions, while those used to living in moist burrows may need a more humid environment. Most frogs and many reptiles require sufficient water for them to soak or swim in. Furnishings: The type of the substrate used on the cage floor can vary enormously from paper toweling or newspaper to sand to sphagnum moss and so on. It depends upon the requirements of the particular species and your personal preference. Arboreal species should be provided with branches and/or ledges on which they can climb and bask. Tree frogs appreciate plants with broad leaves strong enough to support them. Rock dwellers should be provided with rock surfaces, either real or artificial. Water frequenting animals should have access to an appropriately sized water dish. Other furnishings, such as bark slabs of cork, hollow limbs, clumps of dried porcupine grass and so forth, can be added according to the animal’s behavioral habits, the microhabitat it occupies in nature and the aesthetic effects you desire. Please note that native plants are protected. Do not remove them from the bush to furnish pet cages. Sand should not be used for pythons. Hiding Places: Many reptiles need access to a hidden retreat when they are not basking or active. If denied this they can become stressed and their health will suffer accordingly. Hide rocks or hollow branches are the best retreats for them. Viewing: Clear glass and plastic allow you to readily view your animals. However, your desire to see your pet must be balanced against the animal’s need for privacy. For those that are active at night, use of blue or red nighttime lighting assists observation. Ventilation: Reptile and amphibian cages should be adequately ventilated to allow plenty of fresh air. A good quality mesh is well suited to this purpose while still providing security. Cleaning: Animals should be checked daily and living quarters cleaned as required. Cages should provide good access for removal of droppings and replenishing or replacing water containers. Glass, fiberglass, and plastics are the most easily cleaned materials and the least likely to harbor disease-causing agents. Security: The potential for a curious child or adult to let out a pet animal or possibly be bitten by it, must be considered. If children are around or you have “bitey” animals, your cage should definitely have a lockable catch on it. Cages should also be free of gaps, even small ones. Snakes, in particular, are great escape artists (especially Stimson’s pythons), being able to squeeze through the smallest of gaps. Enclosures must be secure and escape proof. Enclosures must be kept locked for category 5 species. What do I do if my pet gets sick? It is often not easy to determine when reptiles or frogs are sick, especially in the early stages. So don’t wait. Seek advice from a vet experienced in these animals if you think there is a problem. Any consistent change from normal behavior can be an early indication of disease. Some things to watch out for include: constipation, decreased appetite or activity, weight loss, vomiting, sores, swellings, inability to use a limb or move freely, wheezing, bubbles from the nose, external parasites or skin discolouration, prolapses are also things to look out for and can often happen if you feed your animals too large a food item when they are still young and developing. Prevention is better than cure and good husbandry is the best disease preventative. It is essential that you know and meet the needs of your animal(s) – housing, nutrition, and environmental conditions. It is also important to avoid stress from excessive or inappropriate handling (such as snakes in pre-slough). In addition, ALL new acquisitions should be housed separately from established animals until proven to be disease and parasite free. Should I handle my pet? Many reptiles will adjust to regular handling and become quite docile in their behavior, even accepting food from your fingers. As a general rule, however, handling should be kept to a minimum. Reptiles and frogs carry a variety of diseases that do not harm them but may be transmitted to humans. These zoonotic diseases can cause serious illness. Therefore, good hygiene is essential to minimise the risk. Hands should be washed with warm soapy water or a repti clean product after handling animals, their wastes or cage furnishings. Can I release my pet reptile or frog into the bush? No! By releasing unwanted captive animals, even those that appear perfectly healthy, there is a very real danger of introducing exotic diseases or parasites into wild populations. Instead, they should be sold (or given) to a licensed reptile dealer. Please do not contact Perth Zoo as they are not able to take such animals. The study of reptiles and amphibians is called HERPETOLOGY. The keeping of these animals in captivity is often referred to as HERPETOCULTURE (although you won’t find that one in the dictionary yet). For those interested in herpetoculture, there are a number of ways to obtain information reading books and pamphlets, accessing reptile related websites on the internet and joining a herpetological society where you can meet, listen to and talk with like-minded individuals. We have a wide range of specialty reptile and amphibian books in store. Make sure the enclosures are kept spotless. Ask to handle the reptile. Make sure the reptile is alert, active and friendly. If it is wild caught, ask if it has been feeding, wormed, (see its feeding chart) and check it has no mites or ticks. Ask if it is wild caught or captive bred. Make sure you are given the correct keeping information on the reptile you intend to purchase. Only purchase your reptile from a reputable licensed reptile dealer. Read and understand the conditions of your license. Once you have followed these steps and are happy with your reptile and have your license, you may purchase it. We are sure you will come back again and again to Reptile Trader. The future of these beautiful creatures is in our hands and through education, understanding and proper care we can develop the hobby responsibly, to benefit reptiles and those of us interested in them. Reptile and Grow Store has a responsibility to our future generations to ensure that we take from the wild responsibly, relocate and conserve, encourage captive breeding, educate the public and share our knowledge with all.